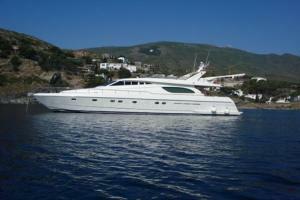 Ferretti 72 Fly, spacious and elegant yacht with 4 comfortable cabins for 6-8 guests, crew of 2 members. Elegant cherry wood interiors, wide saloon with comfortable large U shaped leather-seating area with central table, LCD TV, DVD, Radio & CD. 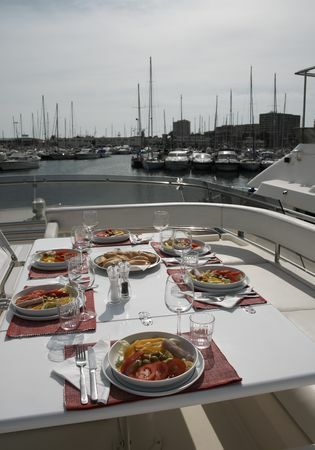 Separate dining area, steps lead up to the flying bridge. 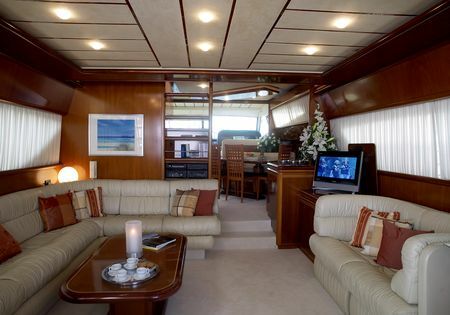 A spacious full width Master cabin located amidships, with sofa, dressing table with pouf and an en suite bathroom. 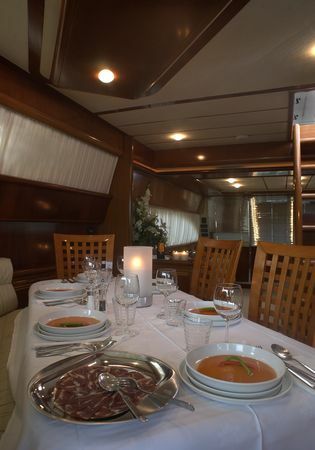 A Double VIP cabin and two guest cabins (1 twin cabin and 1 with bunk beds), all with en suite bathroom. 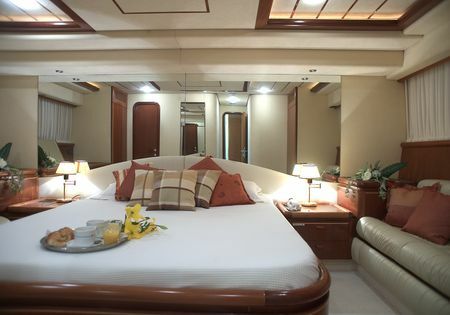 Separated crew quarters at the Stern with crew cabin for two (bunk beds), crew dinette & crew bathroom.